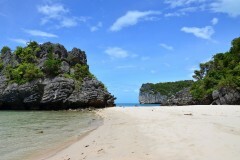 Haad Chaweng boasts marvellous powder-white sand accompanied by a tacky scene in the heavily developed tourist town that backs the beach. 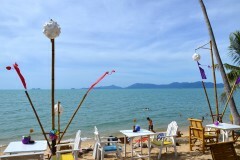 Covering a long stretch of the east coast, the area hosts seething nightlife along with stacks of restaurants and accommodation, including some of Samui’s largest resorts. Love it or hate it, Chaweng is the centre of the action. Much of the north to central stretch of this roughly six-kilometre-long beach is buttressed by a reef and stays shallow for some distance off shore. It gets better around the centre of the beach and remains excellent to the south, where it’s easy to see why Chaweng became so popular in the first place. 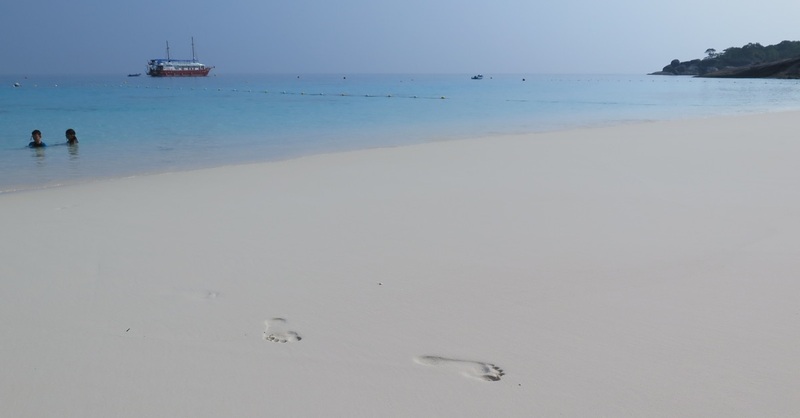 Wide patches of soft sand strike a brilliant shade of white. While there’s enough space to ensure that you won’t have to battle for a sunbathing spot, Chaweng has its share of jetskis and speedboats rumbling off shore. North Chaweng is directly under the flight path of noisy airliners as well. 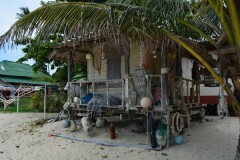 You’ll encounter quite a few beach vendors who trudge around trying to sell rafts, sarongs, trinkets and tasty snacks. They tend to not be too pushy, and a friendly "No thanks!" should suffice for them to leave you alone – just bear in mind that you may need to let every one of them know that! Chaweng Beach transforms after dark, as sun loungers are pushed aside to make way for candlelit tables, fresh seafood is displayed and fairy lights and lanterns set the stage for an enjoyable evening. 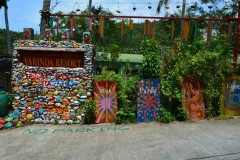 The upscale resorts create romantic ambiances, while the beach in front of Ark Bar’s swimming pool morphs into a dance floor. 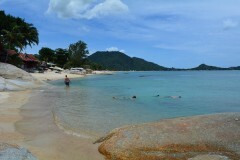 The beginning of Chaweng Beach goes largely unnoticed at a quiet stretch of sand backed by private villas built over a steep hill to the north, just south of Choeng Mon. From here the beach swings east to a sandy point, before cutting back southwest to a narrow stretch where the sand disappears at high tide. 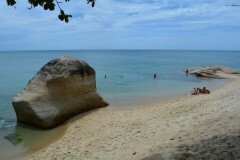 This relatively quiet area is where the Chaweng Beach ... please log in to read the rest of this story. Last updated on 25th September, 2016. 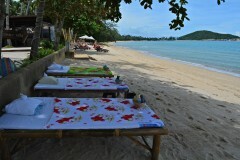 A selection of some of our favourite places to stay in Ko Samui. 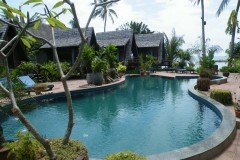 Browse our independent reviews of places to stay in and around Ko Samui. 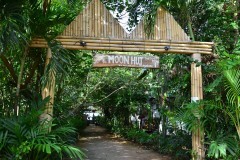 Read up on where to eat on Ko Samui. 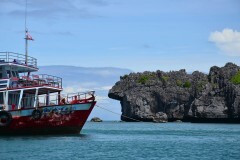 Check out our listings of things to do in and around Ko Samui. 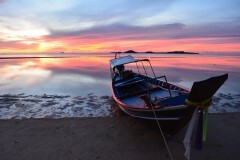 Read up on how to get to Ko Samui, or book your transport online with 12Go Asia. Planning on riding a scooter in Ko Samui? Please read this. 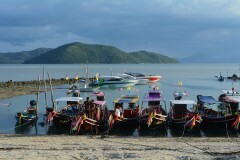 See below for more sights and activities in Ko Samui that are listed on Travelfish.org.